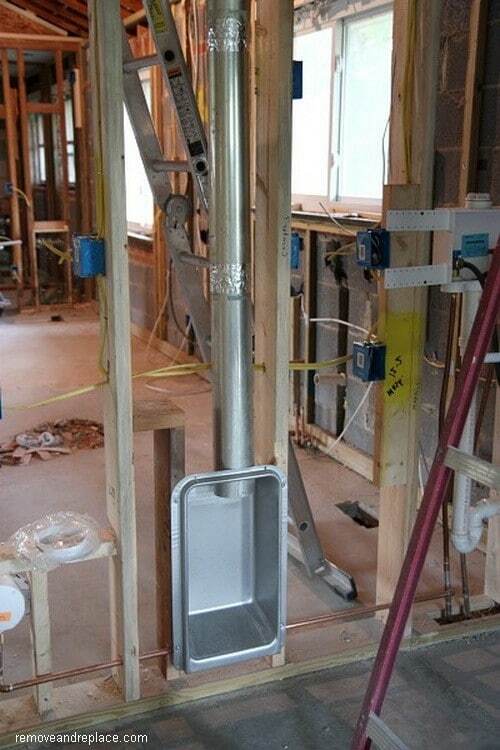 DRYER VENT BOX – allows you to push your dryer against the wall instead of leaving room for hose. Add this to the list for your future house. – EZ-Flow Dryer Vent Box. – Allows you to push your Dryer Flush Against The Wall. – Recessed Hookup Venting Kit For Flex Hose Connector. – Prevent Kinked Hose & Fire Hazards. – Improve Clothes Dryer Appliance Efficiency. – Inset Dryer Exhaust Box Is Easy to Retrofit In Existing Home & New Construction.